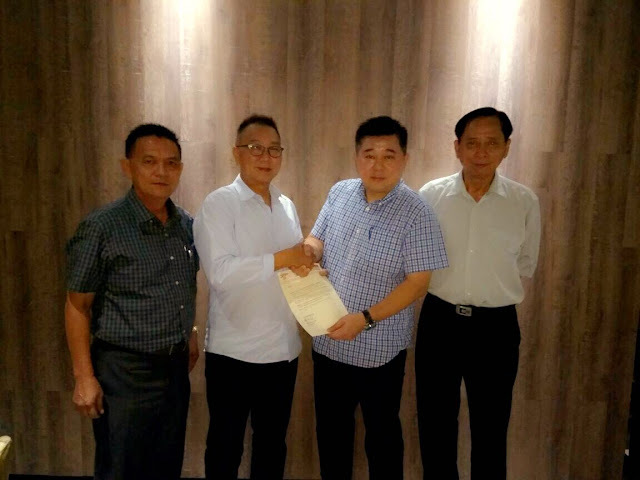 MCA Libaran division chairman Chin Kim Hiung handed over a cheque to Sabah Dragon, Unicorn and Lion Dance Association chairman Danny Kok and witnessed by the latter's committee members. According to Chin, MCA Libaran division is always supportive of all kind cultural activities. The grand final of the 3rd Sabah Lion Dance League Championship which is organized by the Sabah Dragon, Unicorn and Lion Dance Association will held at the Sandakan Community Centre today (Sunday). Twelve teams from throughout Sabah which took part in the first round in Kota Kinabalu in June will be facing it off in the decider for the overall winners of this year’s league championship. The Sabah Lion Dance League Championship is the first ever lion dance league in Malaysia. Its aim is to elevate the standard of lion dance in Sabah to be on par with their counterparts from Peninsula Malaysia.